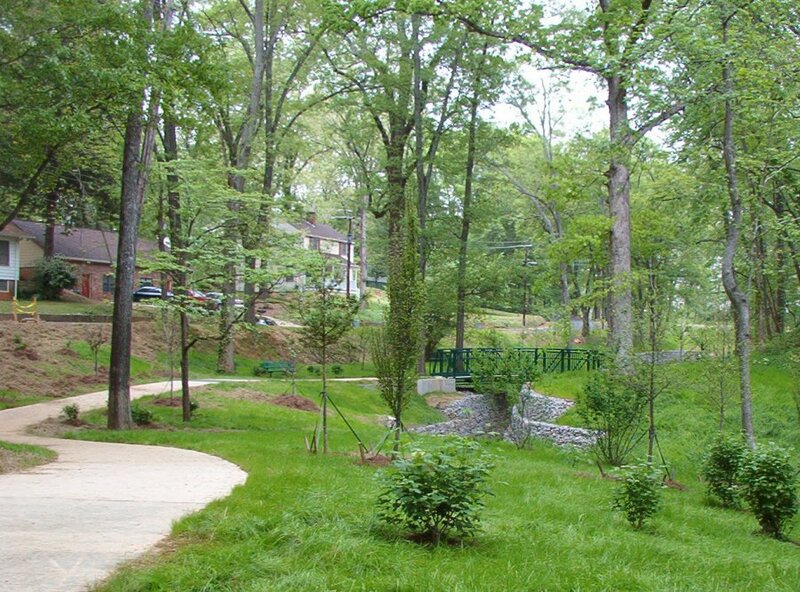 The key to success of the City of Gainesville's effort to create the Rock Creek Greenway project to link four city parks with the downtown square has been the extensive renovation and restoration of Rock Creek itself. 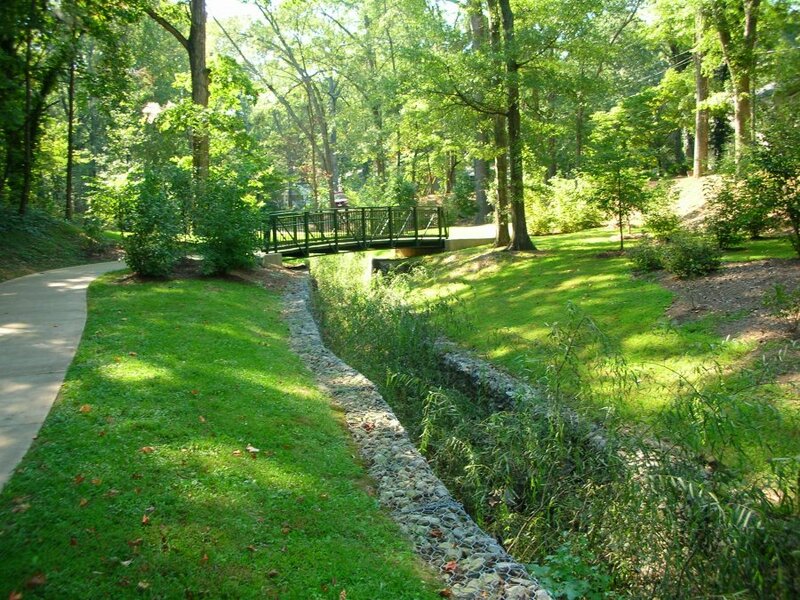 This severely degraded urban stream flows from the downtown area of the community to the shores of Lake Lanier through a series of historic and environmentally sensitive parks. The restoration project was jointly sponsored by the City of Gainesville, Gainesville Parks & Recreation and the Friends of Gainesville Parks and funded with local and federal TEA-21 monies. 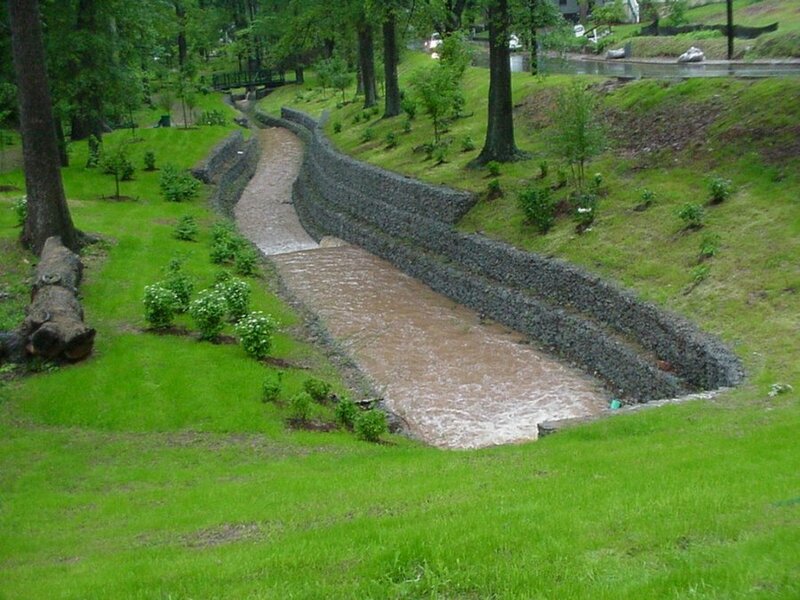 While an alternative approach would have been to "lay back" the tops of the stream channel with an engineered slope, the community decided early on it wished to preserve as many of the large trees as possible. The project blends a mixture of 'hard' and 'soft' elements – gabions were used in areas of peak flow with log dams and planted willows to soften the effect over time. Rochester worked closely with a consultant who designed features of the trail. The next phase of the project involves realignment of the stream channel back to its original natural course past a series of stone structures placed by the Civilian Conservation Corps in the 1930's. Rochester resolved disputed boundary lines, provided hydrology and hydrogeomorphology studies, stream channel engineering design and wetland and upland plant selection for the project. Rochester & Associates role in the project included site planning, plan revision, civil engineering and construction management for the restoration of stream corridor. The total project cost was approximately $350,000 and covered an Area of 2.3 acres.